Amazing climb of the SW Ridge of Aspiring. Day 1:Walk into Aspiring Hut at night. 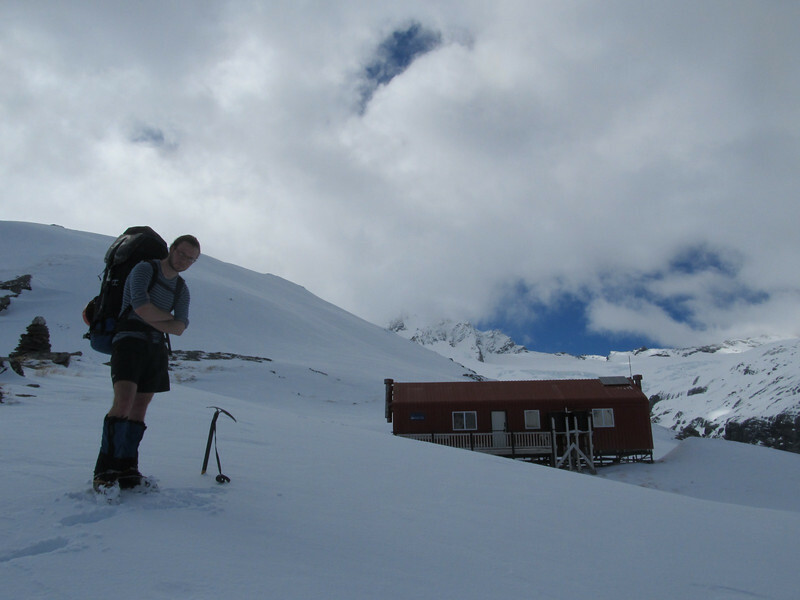 Day 2: Aspiring Hut to the Bonar via French Ridge and the Quarterdeck. Set up camp on the Bonar to snow showers. Day 3: Climb of the SW Ridge to the summit. Bottom of the couloir icy, otherwise good snow conditions. Descend via the NW Ridge and a slushy ramp. Back to camp for a rest, then back to French Ridge Hut via the Quarterdeck at night. Back at French Ridge Hut at 1 am. Day 4: Sleep in and walk out. Team: James Thornton and Nina Dickerhof. Arriving at French Ridge Hut.